While this revolution is gaining wide acceptance, HubrisOne, a cryptocurrency wallet and traditional fiat bank account combined into a powerful, intelligent, regulated and compliant digital Apple and Android app has arrived. "Millions of people use cryptocurrency wallets, but there is considerable misunderstanding about how they work. Unlike traditional ‘pocket’ wallets, digital wallets don’t store currency. In fact, currencies don’t get stored in any single location or exist anywhere in any physical form. All that exists are records of transactions stored on the blockchain. To be able to spend those coins and unlock the funds, the private key stored in your wallet must match the public address the currency is assigned to. If public and private keys match, the balance in your digital wallet will increase, and the senders will decrease accordingly. There is no actual exchange of real coins. The transaction is signified merely by a transaction record on the blockchain and a change in balance in your cryptocurrency wallet." With that being said, HubrisOne is a mobile app that will completely revolutionise the dynamics between the cryptocurrency and the banking sector. At present there is little to no trust between traditional banking and cryptocurrency users. HubrisOne, is a cryptocurrency wallet and traditional fiat bank account combined into a powerful, intelligent, regulated and compliant digital Apple and Android app. We are focused on merging the benefits of these two powerful industries, seamlessly. The HubrisOne team have designed HubrisOne to be easy to use, secure and intelligent. HubrisOne is more than just a digital cryptocurrency friendly bank account. It's a statement to the world that we believe cryptocurrencies are here to stay and they should be taken seriously. The vision is to become the connector between the old world of finance and banking to the new world of cryptocurrencies. In a new, secure, regulated and user-friendly way. Today’s cryptocurrency industry lacks fluid connection to the world of fiat currencies. Existing applications are not consumer friendly and lack friendly user experience. There is no focus on adoption and we are here to change that. 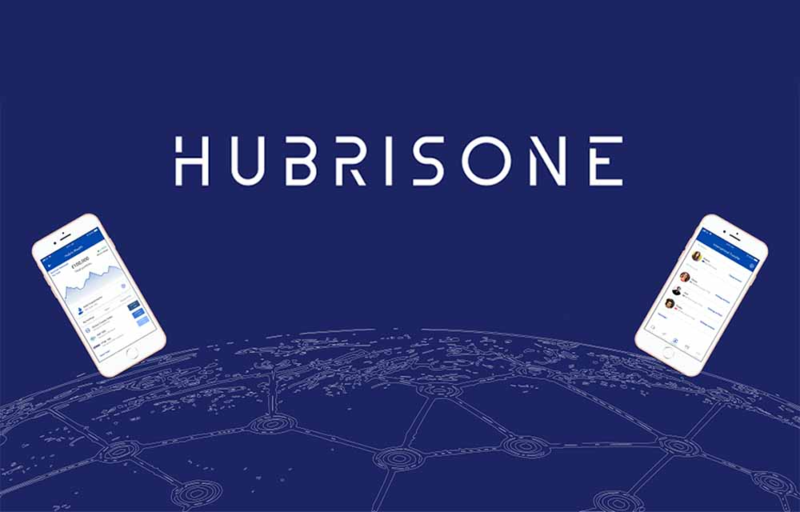 HubrisOne have built a cryptocurrency asset and fiat account management solution that makes it easy to connect your fiat current account for easy entry and exit into the cryptocurrency market. All of your important cryptocurrency services under one roof. Powered by the HBRS token. There are too many significant problems out there in the market and Hubrisone offers lots of solutions for every matter considered a flaw. Hubrisone app is here to help mass adoption for the crypto market by making it easier to invest, send, deposit any kind of asset. Hubrisone presents an incredibly fast and easy way to open an account and invest in with different fiat currencies. Hubrisone uses Stellar blockchain for transactions and this makes transfers amazingly fast, cheap and secure when it's compared to common methods. While Hubrisone project utilizes the Ethereum blockchain as a platform, Stellar blockchain payment system completes its speed up and price down. These are the remarkable features Hubrisone offers for the users and clients and there are so many will be mentioned later. The HubrisOne app will increase the adoption rate through integrated digital banking Hubris, cryptocurrency. Cryptocurrency offers a familiar banking solution with integration. The HubrisOne application is very easy to use and simple. In this app you can easily manage your crypto coins, assign them to each other, or quickly switch to the normal fiat range. These are all in your hands. I'm leaving an English video about using my HubrisOne wallet. This video was posted on the official YouTube page of HubrisOne. The HubrisOne platform, which makes it easy and simple to create a bank account in the dominant currencies used by the dollar and the European Union, like the euro, wants to be a pioneer in this field. Thanks to this, the customer can transfer, transfer and store their funds as they do in their bank accounts today, upon the approval of the users of this system which provides solutions to events such as prevention of money laundering. Allows users to create unlimited personal IBANs, BICs and UK ranking codes and account numbers in seconds, creating a personal accounts ecosystem for savings, college funds, or vacation savings. With this program, you can make your employees pay your salary safely or send invoices, all in your hands. Transfer fund instantly to your HubrisOne bank account. The HBRS token will be the bloodline of the HubrisApp. If the Hubris App is the road, the HBRS token is the cars, trucks and the motorcycles. They are both very dependent on each other.